Did you envy your neighbor’s updated kitchen while visiting over Thanksgiving? Or did some time off over the holidays lend itself to binge watching home improvement shows, and now you're pumped to tackle your own bathroom projects? When inspiration hits, we often dream up far more upgrades than our budgets can handle, but there really are ways to spruce up these spaces without investing thousands. Bathrooms can be very simple to update if major renovations aren’t in the plans. Think about it--the room is relatively small and likely there are tiles, tubs, and floor coloring that are just not going to change easily with a limited budget, so upgrades will have to coordinate with existing pieces. This leaves the easy options for updates. Start simple by choosing colored towels, bath rugs, and shower curtains to add interest. If your bathroom happens to be rocking the old school blue, pink, or green tiles, go with it and match new linens accordingly. 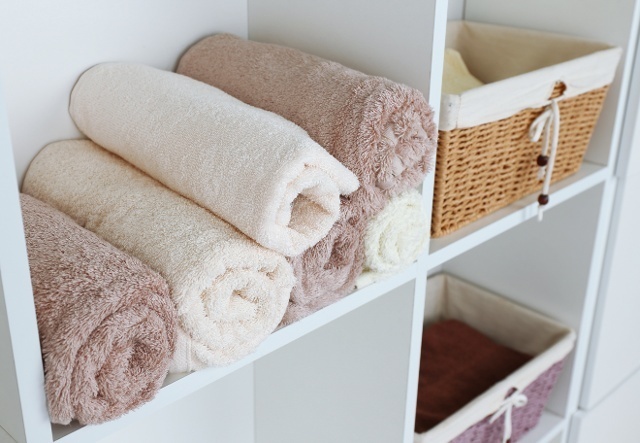 When all else fails, new, fluffy, white towels always add a spa feel to a small space. Accessories make a big statement inexpensively if creatively placed or grouped on shelves or on repurposed small furniture like night stands or painted chairs. Wooden crates and baskets are easy to come by and can serve as storage for towels or other bathroom necessities. Reuse cleaned glass candle jars for holding cotton rounds or swabs. Guest bathrooms would benefit from Mason or candle jars holding travel size toothpaste, mouthwash, and floss for visitors. Water resistant wainscoting adds character and depth to any bathroom in need of an update. It’s best to use this type of wall covering with the thought “less is more” in mind. Too much plastic looking material will detract from the overall look. This Old House shows how attractive wainscoting can be when done proportionately. If you have a little more time and money, wooden or even linoleum floors in bathrooms are dramatically updated with paint. The keys to success here is tracking down the best products from primer to paint and sealer; for example, Floor & Patio Latex Enamels by Benjamin Moore. Because kitchens are used every day, they can be a source of unhappiness for many people. We spend so much time in them that we notice every. little. thing. that we hate about the space. Like bathrooms, major renovations are costly, so the small updates can help with the overall aesthetics. Soften the hard lines and angles in the kitchen with rugs. They make standing easier and the space a little more comforting. Experimenting with multiple small sized rugs may work better than attempting to use one large piece in the middle of the floor. 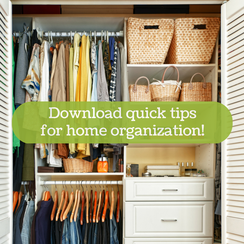 Choose a large print to hide messes and attract the eye away from other unattractive focal points. Window coverings will achieve the same effects. Adding decorative brackets in the kitchen brings eye interest up a notch. Often seen below breakfast bars, they are also attractive mounted in doorway corners. They can be found inexpensively at home improvement stores, but great deals can be uncovered at your local Habitat for Humanity’s ReStore. The granite counter top craze is still popular, but waning. Homeowners are looking for something different that makes their kitchen unique. Changing out a counter top seems expensive and labor intensive, but the options have grown substantially and are much more accessible. This DIY Network tutorial makes a concrete counter seem doable in a weekend. A weekend can be the perfect time to update or add a backsplash. Tiles are an inexpensive purchase, because, really, the square footage for a backsplash is small. There are endless options, especially if you add a high gloss paint to the project. Online tutorials offer advice, but attending a “How To” class at a local Home Depot or Lowes might be a better place to start. New cabinets in a kitchen can easily break the bank, so alternatives are likely a better place to start. Changing the looks of existing cabinets can be as easy as removing doors and painting either the inside, outside, or both. This does mean open spaces have to be well tended, or the kitchen begins to look cluttered. If there is a lot of dead space, hanging shelves in available areas above the counter adds storage as well as a display space for heirloom china or a collection of stoneware. 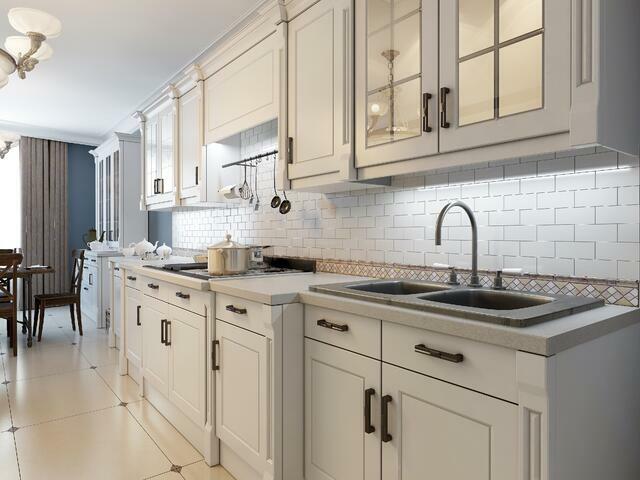 New Year’s resolutions are coming, and procrastination might be one of your habits to break, so stop putting off the easy and affordable kitchen and bath fixes that can drastically improve your state of mind. Winter weather will have us all cozying up in our homes, so actually enjoy the space and be glad you didn’t wait another weekend!